My day begins in room 2, I’ve noticed a buzz around PINS recently and I’m pleased to get the chance to see them. After a brief introduction from BBC Introducing they take to the stage and immediately set about blowing our faces off. They storm through their set and it isn’t until they’ve left the stage and I turn around I realise how many people have gathered to watch them. Despite being the first act on stage, it was my favourite performance of the day. On trying to move to room 1 to watch The Staves it’s obvious already how busy the festival is and the layout makes for one or two bottlenecks when trying to move around. I watched the first half of The Staves set before deciding I wasn’t really enjoying it. I made my way back to room 2 to catch the end of Nick Mulvey instead. I enjoyed the few songs I saw him perform and I will be looking for more from him. Again back to room 1 I go, this time to catch Bombay Bicycle Club. I’ve seen and enjoyed Bombay Bicycle Club before, but on this occasion I found it difficult to listen to them. I don’t think it’s the fault of the band, the sound in the room was just terrible. I’d picked Lykke Li as my next artist to watch and so again made my way back to room 2. It’s jam packed when I arrived and somehow continues to get busier in the lead up to the performance starting. Despite not having much room to breathe I’m pleased to witness it an excellent performance. A new song titled ‘No Rest For The Wicked’ was my highlight of the set, giving me great hope for the next album too. Heading back to room 1 for Franz Ferdinand, I try to learn my lesson from earlier and head much closer to the stage hoping for better sound. Unfortunately I failed. I’ve watched some of the Franz Ferdinand performance back on the festival website and it sounds like a great show. That was not my experience in the room, I just couldn’t get past how bad the sound was, at times it felt like watching a gig inside an echo chamber. I had intended to watch The National close the festival, but I wasn’t prepared to put up with the poor sound in room 1 any longer. I returned to room 2, but James Blake didn’t really do it for me, so I left early. 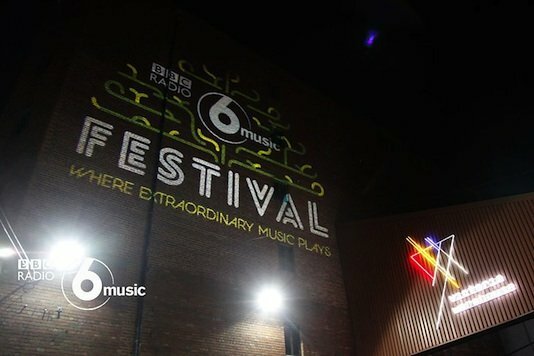 The festival lineup was great, I hope 6music organise more festivals, but Victoria Warehouse is not the place for them. It’s just not at all suited to live music in my opinion, I don’t expect to attend a live music event there again.